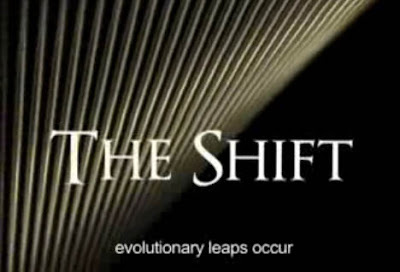 "The Shift" is a movie about the emergence of the powerful collective consciousness of humanity transcending all limiting illusions of modern day materialism to make way for A NEW EARTH, a new beginning of peace and love, of truth and oneness ... where there is no duality ..... where ALL IS ONE .... THE SHIFT is Happening, and it's happening NOW ! The systems of the old paradigm are dramatically breaking down, amazing breakthroughs are happening all over this planet. This film tells the story of these incredible breakthroughs and the inspiring individuals contributing to the largest transformation in human history. This is OUR film, a movie being made by a Movement. Our trailer posted on the Internet has generated a phenomenal response in 136 countries around the globe. This is YOUR OPPORTUNITY to take a stand and be a part of a powerful message, a film that carries the potential to wake up millions and billions at this critical point in our evolutionary story. To find out how you can be a part of "The Shift Movie"